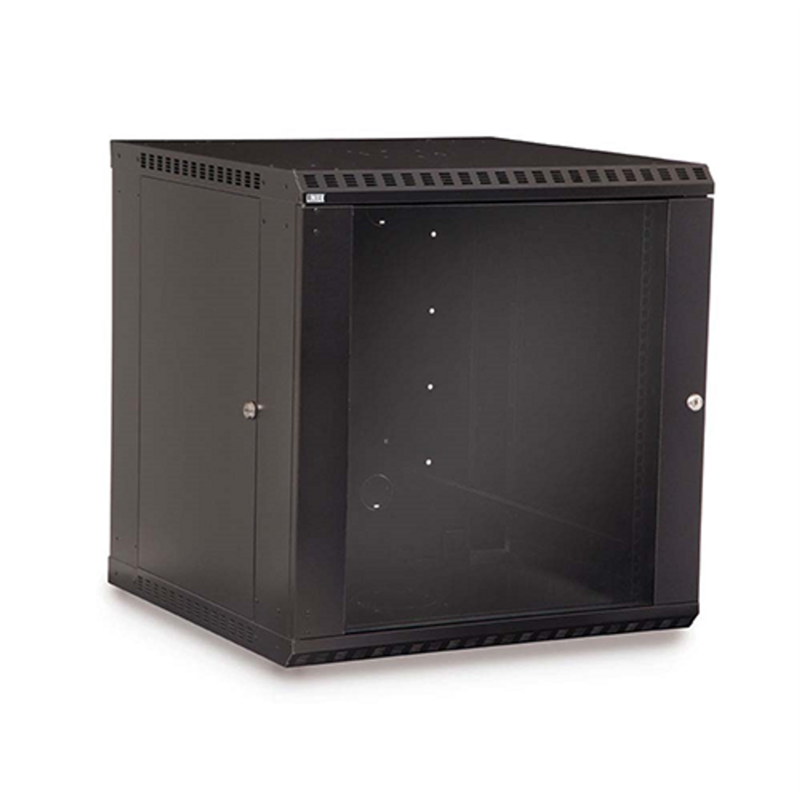 These enclosed wall mount racks provide additional security for your rack equipment. Not all enclosed wall mount racks are the same. From various depths, to unique features like soundproofing, water resistance, or additional security. Security wall mount with snap-in rack rails for extreme convenience. Includes laser knockouts and locking door. Free Shipping! This budget friendly wall mount ships flat and free letting you spend your networking budget on other much needed accessories. Assembly Required. Soundproof wall mount cabinet removes up to 15dB(A) of noise and up to 1.6kW of heat from loud IT equipment. Fans built in. Economy wall mount for smaller and shorter depth applications. Includes vents, laser knock outs, and removable backpan. Corner wall mount cabinet typically used for video or surveillance equipment. Easy one person install. Side panels are removable. Great security wall mount cabinets designed to fit in a limited space. Easily install networking equipment. Compact and shallow wall rack ideal for broadcast and performing arts stages. Knock-outs for cables and antennas. Safely store DVRs, network equipment, and routers in this heavy duty wall mount lock box. 270 Degree swing open door. Recharge and secure up to 12 devices with this slim frame wall mount. Great for the business, hospital, and classroom.